Search thousands of full-length movies, concerts, tv series and cartoons on YouTube. Full Movies is a YouTube player that lets you create the biggest video library ever seen directly on your iPhone, iPad or iPod. Really simple to use and designed to let you enjoy movies and other content in the best possible way, anywhere and anytime! Search what you want to watch, add it to your video library selecting its genre, then watch it anytime you like (even a little bit at the time, the Bookmark feature lets you resume your video from where you left it...). You can really choose from an unlimited contents. Back in 2010 YouTube removed the upload limit for selected users with a history of complying with the YouTube Community Guidelines and their copyright rules. Furthermore, YouTube has more than 6,000 partners, including every major US network broadcaster, movie studio and record label (studio partners include Universal Pictures, Sony Pictures, Warner Brothers, Lionsgate Films, Starz, The Weinstein Company, and Magnolia Pictures, among others) that offer full length feature films on it. 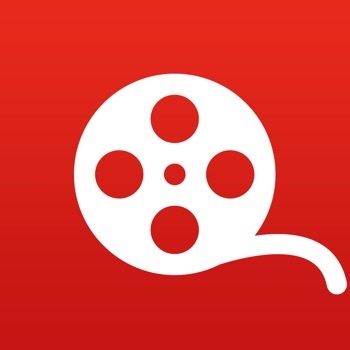 So you can use the app to search for a YouTube partner's movie (or your son's championship high school basketball game...), categorize it and thus create the largest video library of full length movies ever! * DISCLAIMER: Full Movies is a YouTube player for iPhone/iPad that filters YouTube videos searched by users based on the length (shows only videos longer than 20 minutes). All videos are provided by the public third-party media service YouTube. YouTube, YouTube logo are trademarks and properties of Google Inc. YouTube logo is used for informational purposes only. This app is not associated or sponsored by Google Inc.